Begin this exciting nightlife tour of New York City at a swanky lounge in Chelsea at 10:00 pm, the optimum and peak time to head out for a night of fun in the Big Apple. Meet your nightlife impresario of a guide and the other tour participants. Learn about the nightlife landscape in the city while imbibing a complimentary champagne. 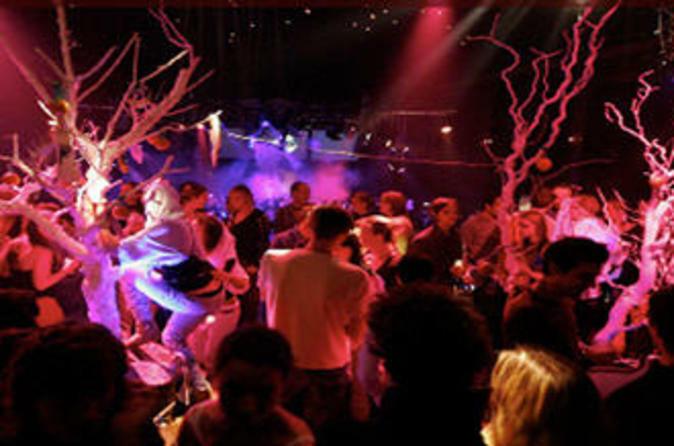 And don't be afraid to ask your guide about nightlife trends in the city. After a drink and a chat with your guide, head out of the lounge and make your way to one of the hottest, most buzz-worthy clubs in the city, which also happens to be in Chelsea (the best neighborhood in Manhattan for clubbing, in fact). Follow your guide into the club, passing right by the bouncer and the velvet rope, looking just like the VIP that you are on this night. Once inside, receive two complimentary beverages from the nightclub host. From this point onwards the night is yours, so get ready to dance the night away! For a true celebrity experience, upgrade to the VIP Tour and enjoy exclusive table service which includes a private table and unlimited drinks all night!